Here's a taste of my latest creations inspired by a garden theme. 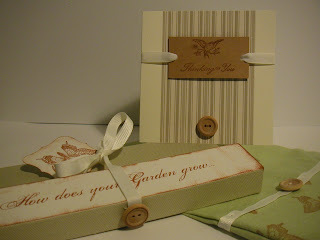 I started by designing a garden folder containing notebook, pencil and seed packets. I went on then to make a matching book bag and seed gift card. Will post more photos soon!